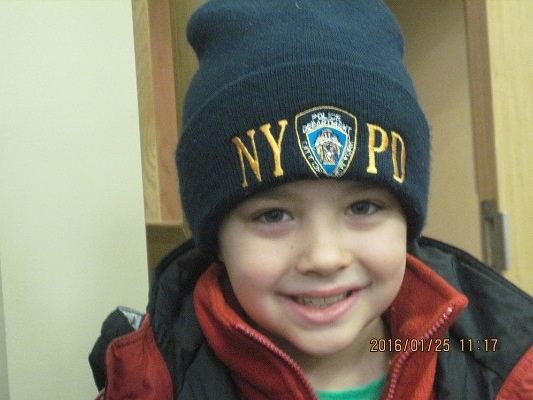 On January 25, 2016, Cops For Kids With Cancer went to the Swampscott Police Department and made a $5,000 donation to the family of Jacob Shemy, an 8 year old boy from Swampscott, who has Burketts Lymphoma. In photo left to right: Officer Mike Serino, Joh Dubbe, father Sean, Jacob, mother Kristin, Det. Rose Cheever, Bob Faherty and Chief Ronald Madigan.